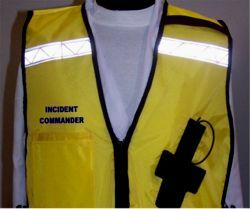 Get custom titles on your our Incident Command System Poncho-Style vest. 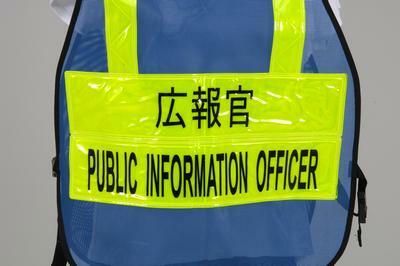 Our Incident Command System Poncho-Style vest with CUSTOM TITLE. 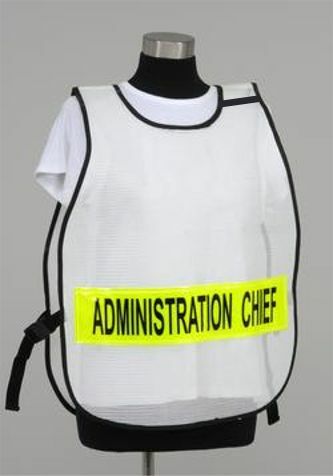 This specialty vest is 20" wide by 26" long with adjustable side release buckles. 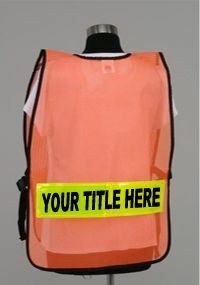 Each vest features your custom title front and back. 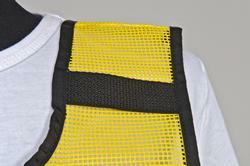 A 4" reflective panel is sewn onto Heavy-duty mesh vest material. 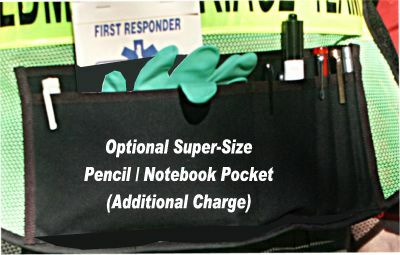 Available in a wide variety of mesh colors (ABOVE). 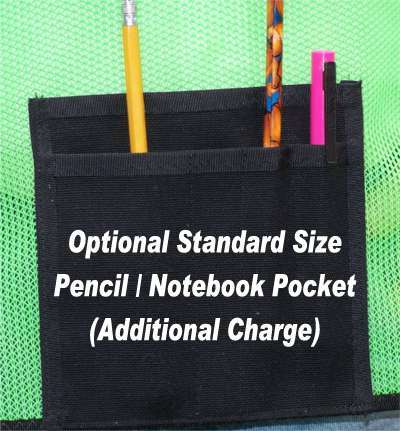 Features our standard mic and ID loop at no additional charge. 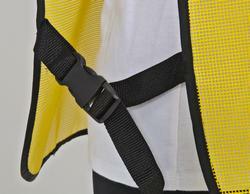 Choose from a variety of accessories to make the vest work for your needs.